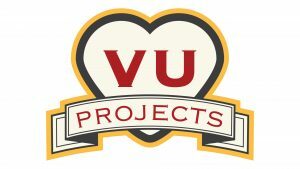 In February 2017, Volunteering Untapped launched a new initiative called VU Projects that is designed to grow our impact, expand the opportunities for our volunteers to serve and expand the opportunities for organizations who have needs that can't be met in three hours on a Saturday, no matter how many people we are able to draw. VU Projects will connect an organization that has a single project or series of projects that needs to be completed with an individual who will lead the effort. That person is in charge of attracting other volunteers through their personal network to the project and ensuring that the project is completed to the standard that the nonprofit requires. We are in the process of further developing our list of opportunities and we look forward to advancing this new initiative and expanding the impact of our volunteers. The following are opportunities that have been unclaimed and are searching for changemakers who can take the project on and lead a larger group that will see it to completion. Mission: Helping disadvantaged Marylanders gain access to equal opportunity in employment, education, health care, housing and the civic arena. Project Description: At the third ever event in VU’s history, in April 2014, we volunteered with GBUL’sSaturday Leadership Program and helped high schoolers create resumes and practice one-on-one interviews. It was so rewarding to see the students walk out of that session proud of their resume and what they had learned. We now want to create a full curriculum that could be used by GBUL’s staff and shared with the many other organizations around the city that would benefit by having it. We want this curriculum shared widely and creating this will have a powerful ripple effect of which we may never see the full extent. This curriculum should allow both staff and the students themselves to easily follow along to complete a polished resume and professional LinkedIn page. This is an important step for a high school student who will soon be applying to colleges or jobs and you can help give that needed boost.